You might have the plant that produces these seeds in you garden right now. Or you might have them in your salad. Can you guess what plant it is? Edit: The answer is now posted . Thanks for your guess. 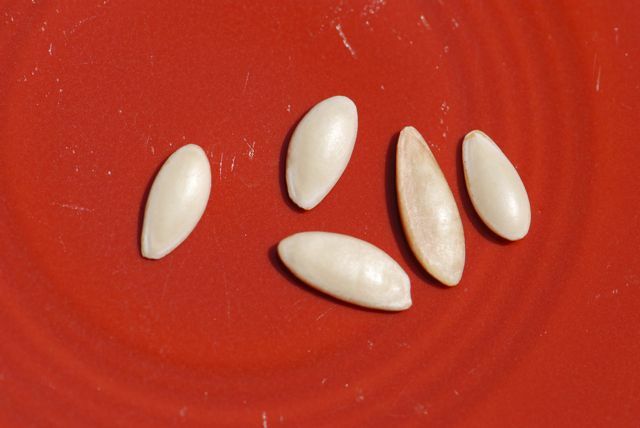 They do look like a peeled sunflower seed.